Many people, believe that their financial well-being is linked solely to their ability to earn a high income. True financial independence, however, has much more to do with understanding and taking advantage of the finances you have. It’s more about setting financial goals and learning to use financial strategies that will help you meet your objectives. My goal as a financial consultant is to help you plan for financial security. Whether your goals involve building wealth through investing, funding a child’s college education, planning for a comfortable retirement, or protecting your income and your family, I can help you develop a roadmap to reach your goals and make wise decisions to help improve your financial situation. Gathering and analyzing your financial situation to develop a clear picture of your specific needs, goals, assets, liabilities, and risk tolerance. Designing a financial strategy that takes into account the investment & tax landscape while protecting against risk that may impact you and your family along the way to reaching your goals. 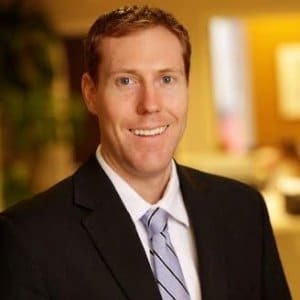 Austin Jett has served as a Financial Consultant at AXA Advisors,LLC since 2013. A Graduate from the Haas School of Business at UC Berkeley with a double major in Business & Economics, he developed a passion for the markets and financial planning getting the FINRA Registrations Series 7 and 66 in 2011 at a boutique broker dealer where he was customizing potential & client portfolios. He made the switch to become a proprietary trader in NYC before being dedicated to helping clients build and secure their financial futures at AXA Advisors,LLC where he acquired the Life & Health Insurance Licenses. Austin Jett had an athletic upbringing in San Diego with multiple sports and was an avid runner in high school and college competing on Cal’s Cross Country and Track team. He still competes in local 5k road races and most recently the Ragnar Relay which is a 200-mile race with twelve runners each with three legs completing the distance under a 48-hour period. Other outside interest includes gardening and beekeeping where he still has beehives in San Diego.